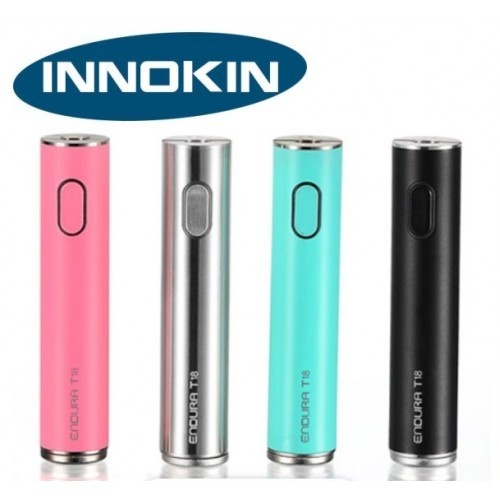 The Innokin Endura T18 Vape Pen is Perfect for Beginners. Optimized Power Output to deliver Amazing Flavour and Vapour! Crafted with top quality materials, the Innokin Endura T18 is a 1 button, easy to use affordable vape pen that is durable, compact and stylish. Optimized at 14 Watts with 1.5Ω replaceable coils, the Endura T18 vape starter kit delivers a perfect vaping experience every time. Ideal as a replacement or spare battery for T18/T18E kit or a battery within its own right.